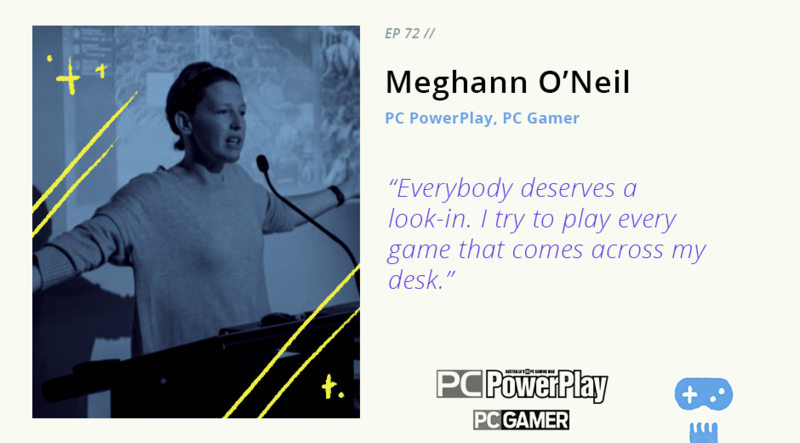 On this week’s show, Australian freelance games journalist Meghann O’Neil joins our host Jason Imms to discuss her decade of writing for PC PowerPlay Magazine, her belief that all games deserve a chance to be covered, and the challenges of going back to pitching now that the magazine has dropped to quarterly publishing. Meghann is the intersection of all things indie games, just ask one of the hundred or so designers she met at PAX AU last year. As well as ten years of freelancing for PC Powerplay and (more recently) PC Gamer, she runs a videogame ensemble and composes game music in dynamic structures. Also, if you call the HintTron 3000 in Thimbleweed Park, you’ll be delivered incremental hints, based on Meghann’s guide.